This report provides a data-centric analysis of domestic remittance market dynamics in Saudi Arabia to help companies understand business and investment opportunities along with risks. 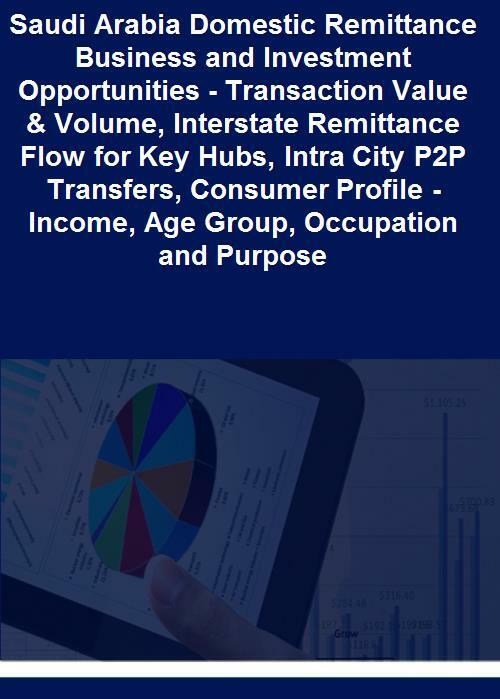 This report establishes market opportunity in value and volume terms, offering a detailed map of remittance flow within the states / regions. It provides a detailed view of remittance from each of the key states / regions to various domestic locations (states / regions). It also provides market dynamics of intra city P2P transfers. In addition, the database includes analysis of consumer profile by income level, occupation, age, and purpose.